Portobello Road, west London. Local people standing around chatting passing the time of day. 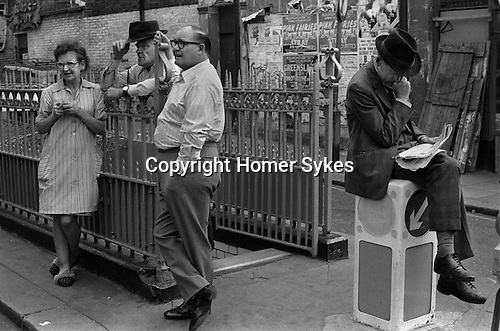 Man reading newspaper Notting Hill UK 1975. Junction of Portobello Road and Talbot Road.